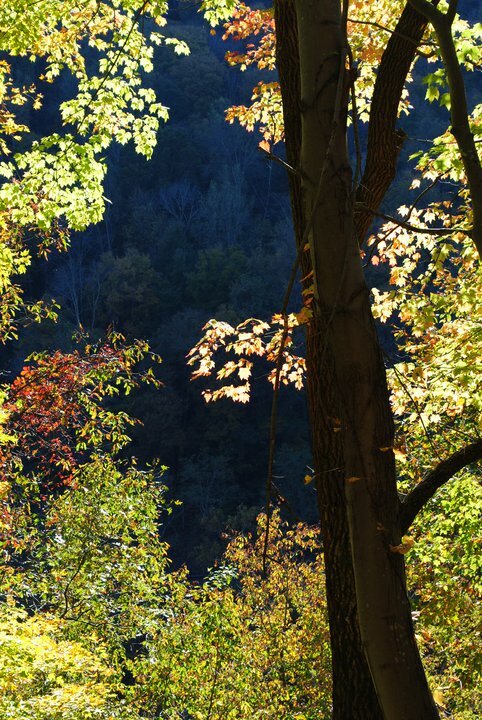 Thought this was beautiful, looks like a star opening in the trees, love walking in the woods of WV in the Fall time! Country Road Cabins has 19 deluxe log cabins available for rent in the spectacular New River Gorge region of southwestern West Virginia. The owners, Paul and Jennifer Breuer, founded Mountain River Tours (dba Adventures Mountain River), one of the first whitewater rafting companies to run the exciting New and Gauley Rivers. 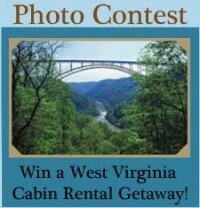 This entry was posted in New River Gorge, West Virginia Cabins, West Virginia Vacation, WV Vacation Photo Contest and tagged country road cabins, new river gorge, west virginia vacation. Bookmark the permalink.